(TibetanReview.net, Jan28’19) – Chinese authorities in Tibet have on Jan 23 called on Tibetans who had returned home from abroad over the decades as well as those who had come to visit relatives to promote support for its policies, including by opposing what it calls separatist activities. China calls all Tibetan criticisms of its policies, including with calls for genuine autonomy, separatism. The occasion was a tea party held in Tibet’s capital Lhasa where returned overseas Tibetans and relatives of Tibetans living abroad were invited to greet the Chinese Spring Festival and the Tibetan New Year, reported the official globaltimes.cn Jan 27, citing the regional party mouthpiece Tibet Daily. The report cited Lhapa Donrup, Party secretary of Lhasa Municipal Bureau of Ethnic and Religious Affairs, as telling the gathering to “support the policies of the Communist Party of China, uphold national unity and resolutely oppose separatist activities”. He has also called on them to help promote the Party’s policies to overseas Tibetans “so that Tibetans living overseas can learn about the real Tibet”. Zhu has said that some Tibetans had left to earn money while others had blindly followed the Dalai Lama but then returned “due to China’s economic development and improvement in living conditions”. “Returned Tibetans should tell those who are abroad and still don’t know the true conditions of Tibet,” Zhu has suggested. 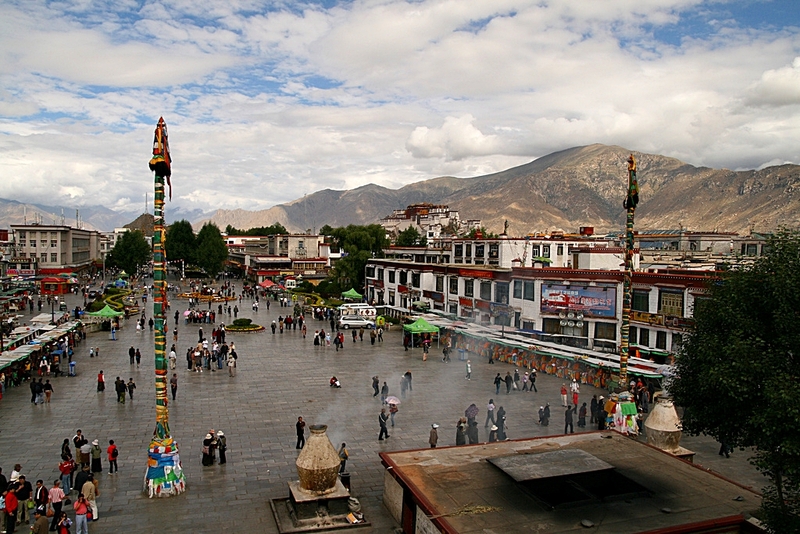 The report cited official statistics of the Overseas Chinese Affairs Office of the State Council as showing, based on a China National Radio report in Jul 2014, that there were about 200,000 Tibetans living overseas, mainly in 40 countries such as India, Bhutan, the US and Switzerland.